“Without pretension I can say : the great terroirs don’t get frosted. We didn’t suffer from frost here on the plateau, in 2017.” Owner Luc d’Arfeuille tells us that the assemblage this year is 90% Merlot, with 10% Cabernet Franc, now ageing 50% in new barrels, after gentle extractions which sought to magnify the wine’s finesse and elegance. “Ch. 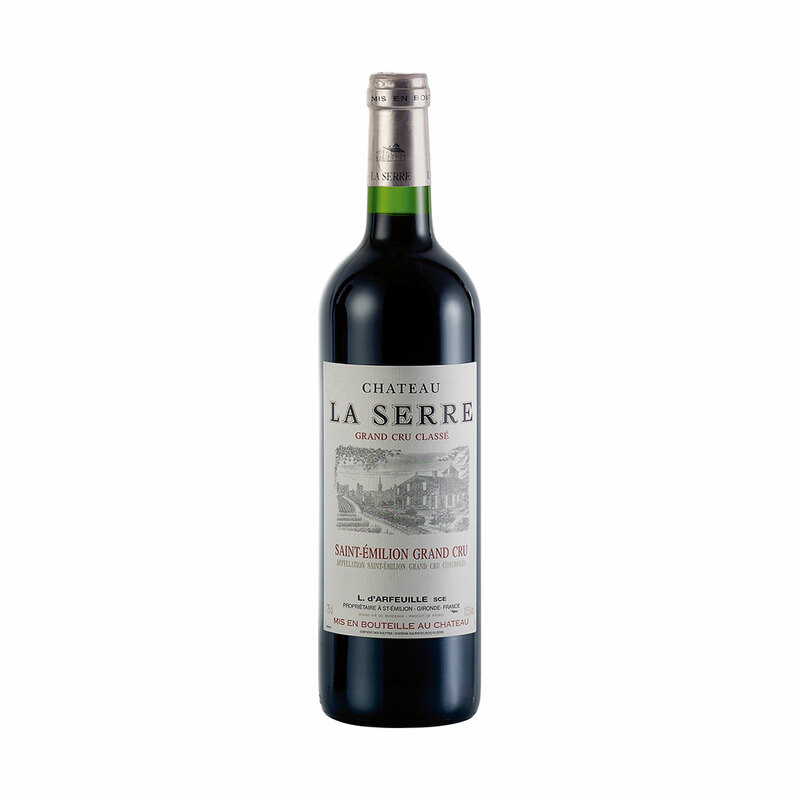 La Serre is a wine which takes on muscle with time,” he continues. “This wine will become delicious for drinking when it has been 3-4 years in bottle – just like the 2012, which is lovely now.” Perched on the limestone heights of Saint-Émilion, within 200 metres of the town’s ancient walls and moat, this little-known jewel of a property (less than 16 acres in size) produces a wine which defines Saint-Émilion at its best. The vines average about 35 years of age. 2017 La Serre is bright, ruby-purple of medium depth, the nose being fragrant, open and fresh. On the palate, this has impressive fruit density, with harmonious, mouth-coating, silky texture, refreshing length and tannins in gentle alignment. Highly recommended for mid-term ageing (for drinking 2022-2032+).